Enjoy Sailing Holidays in Greece with Sail la Vie - Enjoy Sailing Holidays in Greece! Let us guide you along the nine sailing areas where you can sail in Greece. Check out sailors suggestions for places to visit and events to enjoy. Use Sail-Planner, to plan your sailing Route. If you are short on time and want to speed up the planning process, you may choose and customise one from the Suggested Routes. Check out the entire Sail-la-Vie Fleet and find your perfect match. Our Yacht Fleet and all provided Services are checked with the Sail-Safe® Quality System. 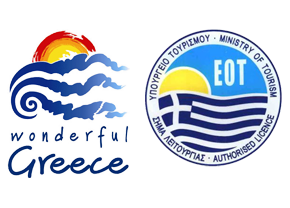 When sailing in Greece you can live little experiences... just pick a dimension to discover..
Read some of our reviews to find out what our customers are saying about our fleet! Do you need pilot charts for your sailing in Greece? Preparing for your sailing is very important. Our charts store has lots of pilot books and charts, that might be useful for you! Don't forget to check the unexplored discovery series. Know better, sail better!